Skating with Ricky on Singöfjärden in Roslagen on mostly great ice. We took a loop north up towards Brännäset where we met the open water, and then made our way south-west towards the Singö bridges, before heading back towards Uddhamn, Herräng. The trip was around 33 kilometers in casual pace. Spring is just around the corner! Sunday skating with Emil in Uppland.. We made a full run on Närdingen and had company of a fox running over the ice, then continued on Vällen with slightly worse conditions but still enjoyable..
Saturday afternoon session on Erken around Biskops-Arnö and Ryssviken.. Mostly good ice with some open and too thin areas.. We covered 23 kilometres before it got too dark..
On November 21st I flew down to Gran Canaria to join the crew of Challenger 3, a 72 feet sloop participating in the Atlantic Rally for Cruisers 2018. We were 13 people on board in total including the skipper and mate. The ARC is an event that has been running for some 30 years with up towards 200 boats participating in different classes - We were in the monohull racing class. 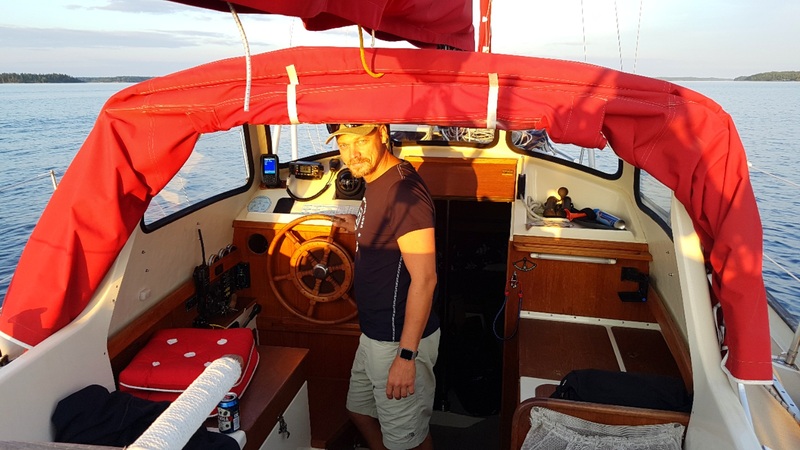 The passage took 15 days and nights, mostly with a fresh breeze from astern and in the later stage we got a couple of squalls to avoid or sail through. After finishing, I spent 1 week in Saint Lucia, a lovely island in the Caribbean. A great sailing adventure and a fantastic holiday! 25 hours in the beautiful nature reserve Kindla, situated north-west of Guldsmedshyttan. 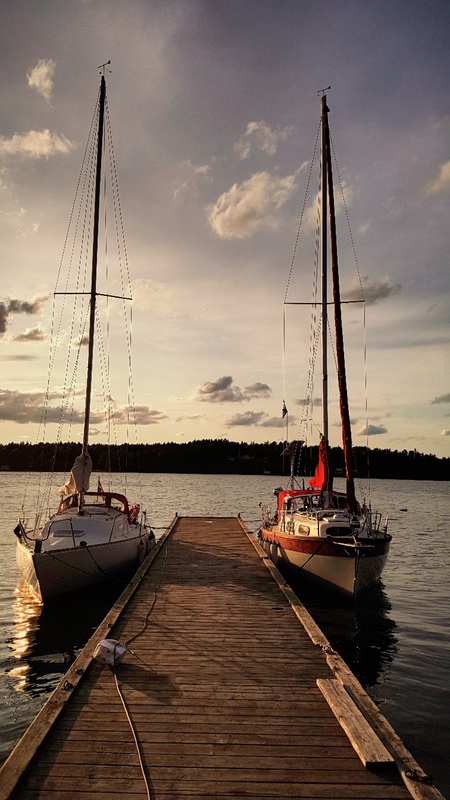 Kindla is a 3 hours drive from Stockholm. We were lucky with mostly sunny weather and warm temperatures for the season. We entered from the parking at Kroktjärn, hiked up to Kindlahöjden for lunch and great views from the tower, and then made our way past Kindlamossen to Klosstjärn where we spent the afternoon and evening enjoying the calm scenery while having a nice fire going for hotdogs and coffee.. By noon on Sunday we were back at the starting point, nicely rebooted and ready for city-life again..
Sunrise freediving session at Tug 2 outside of Exiles in St. Julians, Malta. Once it got a bit brighter after sunrise we took turns and made a couple of swim-throughs. Nice way to start off the day! September 16th, Sunday afternoon freediving session at Cirkewwa on north-western Malta. Warm and clear water, some friendly jellyfishes. Max depth for the day was 22.5 meters. Back on the trails after a 5+ year break! 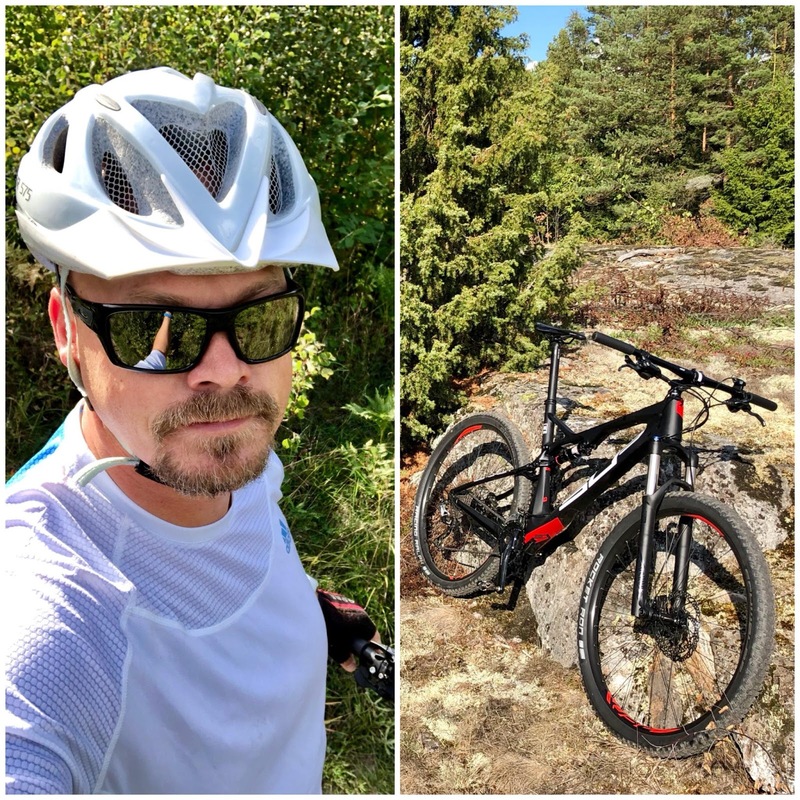 Got a new FS 29'er and fine tuning it during the first proper ride on Järvafältet. Great weather for the year, sunny and warm. First impression of the bike is very positive, first impression of my physical shape not so much, but still a lot of fun. 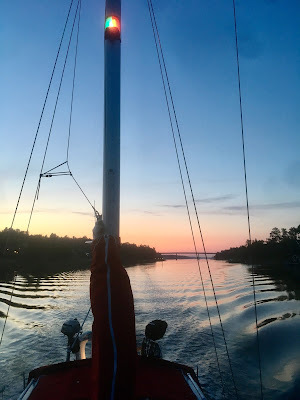 Sailing singlehanded from Herräng a lap around Åland in varied conditions.. First afternoon I headed up to Brännäset, and early in the morning I made my way across Ålands Hav, passing Hellmansundet.. I continued clock-wise on the northern side of the group of islands, mostly motoring.. The second day the wind gradually started to pick up, in the late afternoon reaching gale force gusts at times.. I stayed in Käringsund for 2 nights, doing some maintenance work and relaxing and we got some proper thunder showers the last night.. On my way back to the Roslagen archipelago on the Swedish side, I past a grey seal colony and Märket, a rocky island with a lighthouse marking the boarder between the countries.. 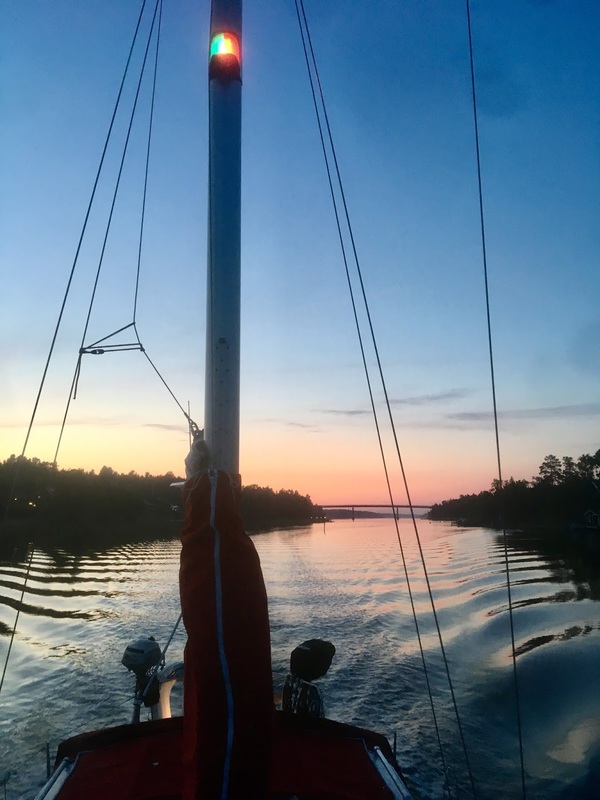 Sailing from Byxelkrok in northern Öland, first leg singlehanded up through the St Anna & Gryt archipelago, past Landsort to Nynäshamn. 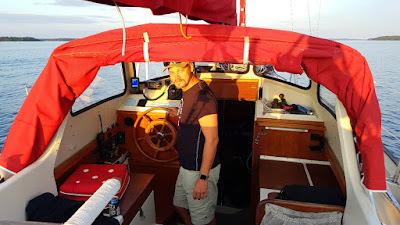 There Tommy joined and we had a great sail up north via Stora Nassa & Söderarm and finally Väddö channel and back to Herräng.. 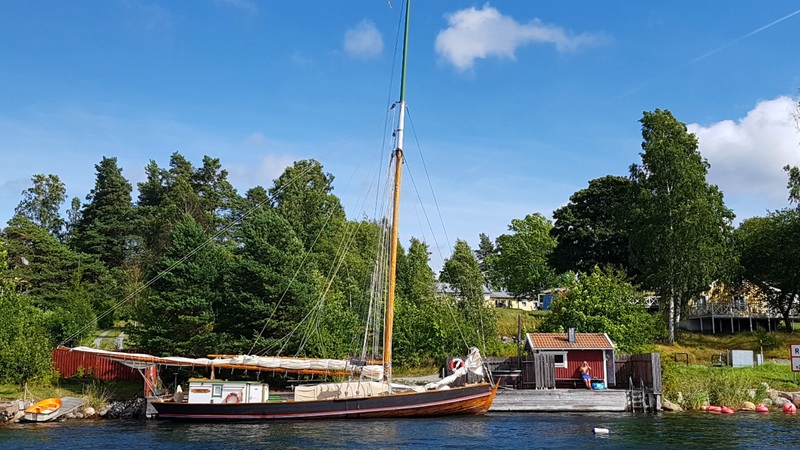 Sailing from Herräng to Byxelkrok on Öland in July 2018 with the lady in my Adagio 27 . Sunny warm weather, a lot of swimming to cool down, a lot of motoring. As usual, some highlights were Söderarm, Nåttaröfladen, Draget channel and the St Anna & Gryt archipelago. Great trip! A roadtrip in Iceland with a mini campervan, all around the island with some detours and shorter hikes. Amazingly beautiful country, new postcard sceneries around every corner.. We were lucky with the weather for the season, mostly sunny but of course pretty windy and mostly 7-14 degrees. 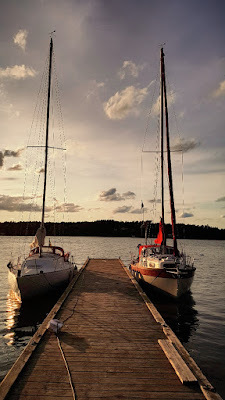 Summer weather in May, trying out new main sail, lazy bag, and fixing and tweaking for the season.. stops at Slätön, Gåssten, Brännäset.. BBQ dinner.. Good times.. Sailing with Carin to Furusund, where we met up with friends for some BBQ and fun in the pre-summer.. Great weather, a lot of motoring..
Me and Magnus skating Sunday morning on three lakes south of Stockholm - Långsjön was a nice start, Norra Yngern a bit too thin ice that day, Måsnaren solid and very scenic..
Me and Ricky headed to Erken on Saturday morning where I though we'd find the full lake nicely frozen, but that turned out not to be the case.. A quick review of maps and we went to Närdingen close by which had really nice conditions, despite the light rain and a few degrees above freezing point.. About 1 hour and some 15 kilometers of skating later we wrapped it up, to get back ot final christmas preparations in Stockholm..
Skating+Headlamps+Marsh lake in the woods = Win! I ended worked downtown Stockholm, wisked home to get my car and gear, and drove up towards Uppsala to meet up with 6 other skates who were up for a great way to make a little lake into an adventure.. Around -7 degrees, a clear sky filled with stars, a beautiful night.. Unusually late premier for the season due to work, travels and wonky weather.. Anyways, went up on a hunch to lake Tämnaren on Sunday and the old ice covered by snow had partially melted and re-frozen so it offered pretty decent conditions.. Being solo, I stayed close to the shore-line and avoided the more tricky parts of the lake.. Relaxed freediving with a colleague and some new acquaintances at Santa Maria Caves, northern side of Comino, Malta. Plenty of fish, lots of scuba divers, very clear and warm water. Me & Carin left Herräng Friday night and started making our way south through Väddö Channel. Saturday morning offered pretty rough weather with heavy rain showers & winds gusting to gale. 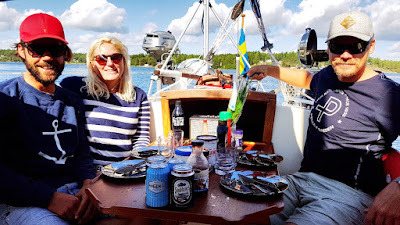 At around noon, the skies cleared and we arrived at Blidö guest harbour and met up with Marcus & Josefine for 24 hours of relaxing, sauna, crayfish party and a BBQ lunch. Sunday noon we headed back north, this time with sunshine and a fresh breeze from the tail so we had sporty sailing with only the genua. I like to balance indoor office work with being active outdoors on my free time.. This blog reports about the things I like to do - biking, climbing, kayaking, sailing, hiking, skating and scuba diving.. My base camps are in, Stockholm, Sweden & St. Julians, Malta..